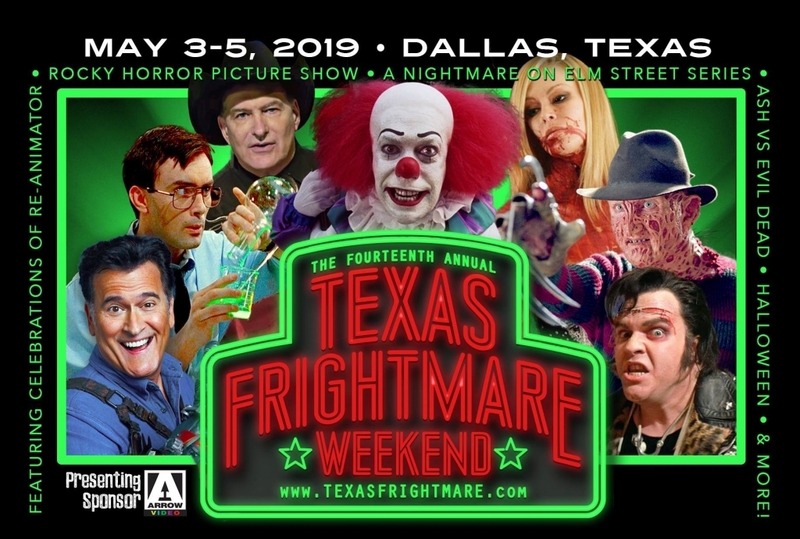 They say everything’s bigger in Texas, and the ultimate killer con known as Texas Frightmare Weekend is no exception; here’s why my heart belongs to TFW. 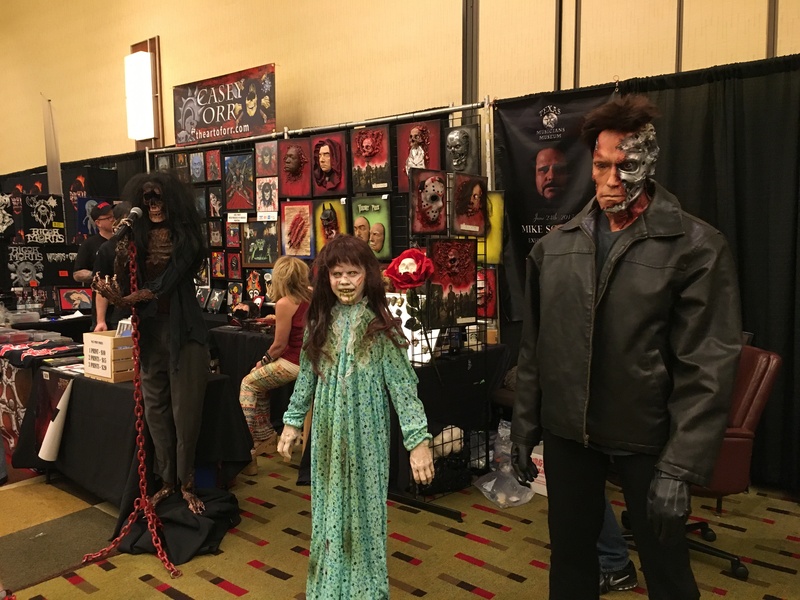 You can’t overestimate how important the first week in May is to Texas horror fans, and really, horror fans all over the country and beyond who now make the yearly trek to the ever-growing Texas Frightmare Weekend, held yearly in Dallas, Texas. What began in 2006 as a pretty small but solid affair has grown into a huge convention that’s already had to switch to a larger venue, and as fans can attest, is already close to growing out of it. Sadly, I didn’t find out about TFW (as fans lovingly refer to it as) until 2010, but as soon as I did, I knew it wouldn’t just be a one-time thing for me; I had found my tribe. Amongst the bloody cosplayers, actors from my favorite films, and fellow genre lovers, I finally found a place where I wasn’t the weirdest person in the room. 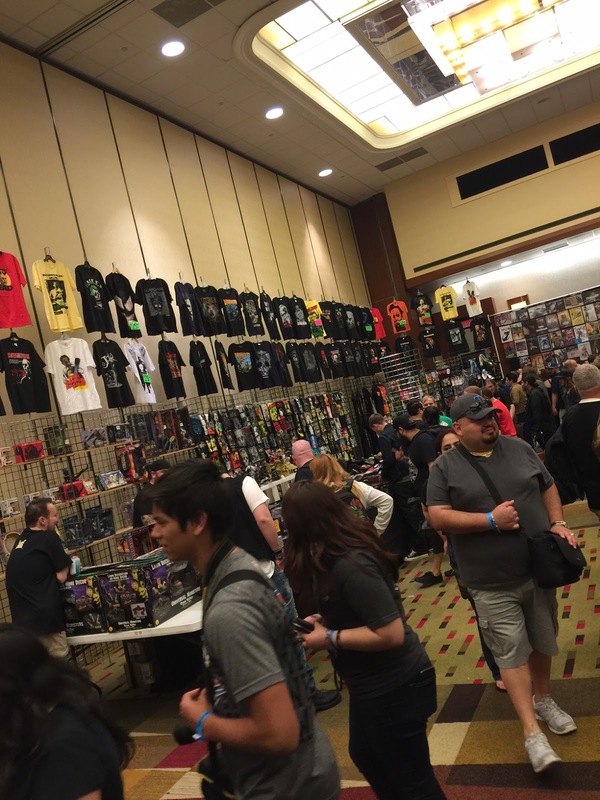 I felt at home talking to fellow fans while waiting in line to meet horror icons like George Romero and Lisa Wilcox, had a blast shopping the scary wares, and enjoyed the general atmosphere of being enveloped in the one thing I had been passionate about since I was a child – HORROR. My VHS copy of “Dream Warriors” hidden oh-so-carefully under my pile of Care Bears and Cabbage Patch Kids served as a comfort from the real world in middle school, and I’d soon find out that as I got older, the realm of movies opened up to me and I became a true fan of horror. Growing up in the Golden Age of slasher films (the ‘80s!) 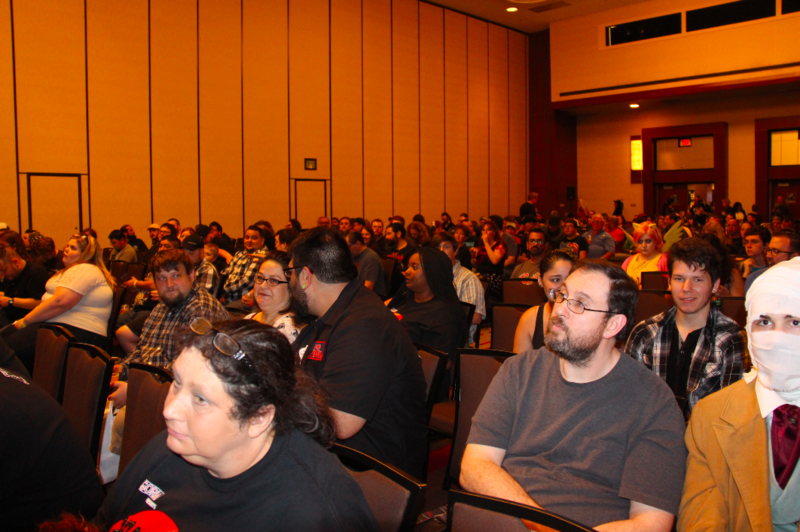 it was a great time to be a horror fan, and being at Texas Frightmare Weekend transports me right back to that time. Those weekends of stacking up VHS on a Friday for an all-night sleepover, the magical feeling of being terrified but feeling safe with your girlfriends, and knowing you’d do it all again in a heartbeat despite the terror and anticipation you felt the first time you heard Freddy’s claw scrape against metal or watched the blood splatter as Jason machete’d his way through a bunch of college kids. Every year, I experience what I have come to call ‘con letdown’ after TFW is over; a two to three-day depression that is like coming down from the best high. I have made friends that I only see at the con, enjoy meeting fellow Instagrammers I follow and talk to, and love making new friends while I’m there. For many of us, it really is The Best Weekend of the Year, marked on our calendars months in advance, rooms reserved almost a year ahead, and I’m no different. This year us horror fans are in for a true treat; we’re getting a truly stellar lineup that ranges from fan favorites of older films to newer talent that we’re getting to sink our teeth into. Most of us, myself included, can’t wait to meet the legendary Bruce Campbell, famous for creating the character of Ash in the iconic “Evil Dead” series. We’ll also get to mingle with Cassandra Peterson, better known as her alter ego, Elvira, along with true cinema mainstays like Tim Curry and scream queens Barbara Crampton and PJ Soles, actresses we grew up watching in some of our favorite films. And what would TFW be without Robert Englund? A whole lotta nothing! And yes, I did cry the first time I met him…he means something to many of us; all of these actors do. And this is our chance to tell them. I’m also super excited to meet Dan Hassel, the ‘major league hunk’ from “Dream Master,” Nancy Loomis from the original “Halloween,” Amanda Wyss, and Nick Castle, of course. The cool thing about TFW is that it mixes in some directors and musicians too, so you can chat with Sam Raimi, Charlie Benante, Meatloaf, or Scott Ian after you talk to Tom Savini about practical effects. The guest list is such a variety of people that it’s definitely interesting. I love seeing artist Gary Pullin, and I enjoyed talking to him last year and purchasing an absolutely stellar “Children of the Corn” print that I look at every day and think ‘that is so damn cool.’ He’s a really big deal in our world, and such a nice guy. 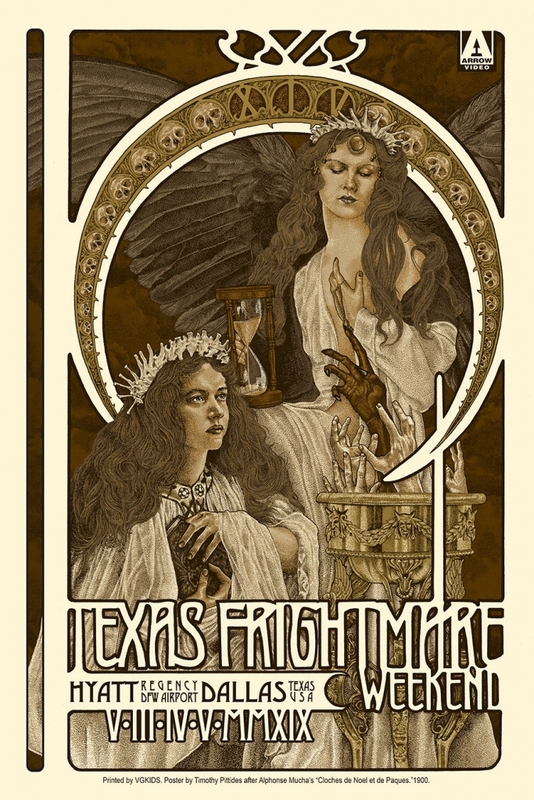 I even managed a slot to get tattooed by Shaun Kama of Halloween Tattoos (out of Los Angeles) this year, and I can’t wait; he’s our resident tattoo artist and inks a bunch of celebrities, specializing in horror and Halloween-related artwork. What am I getting? You’ll have to wait and see! And how often do you get to hear “Cry Little Sister” live and in person? This year you do! Musician G Tom Mac is gonna make sure of it! What a treat for us! Once you wait in line for your Mondo poster (Mondo puts out AMAZING posters, records, pins, and other convention exclusives every year, these are now known as ‘my babies’ and hang with pride in my living room) and meet your favorite actors, it’s time to head into the other ballroom, which houses the majority of the merch. You’ll be able to find copies of movies you never thought you’d own, T-shirts with designs that will blow you away (I’m still madly in love with the Sammi Curr shirt I bought two years ago) toys, comics, records, figures and Funko pops, and of course, posters and every other kind of collectible. Cool shops like Kreepsville 666 mingle with artists selling their one of a kind pieces ranging from prints and watercolors to hair barrettes, handbags, and even taxidermied animals, ensuring you’ll come home with an unforgettable souvenir. 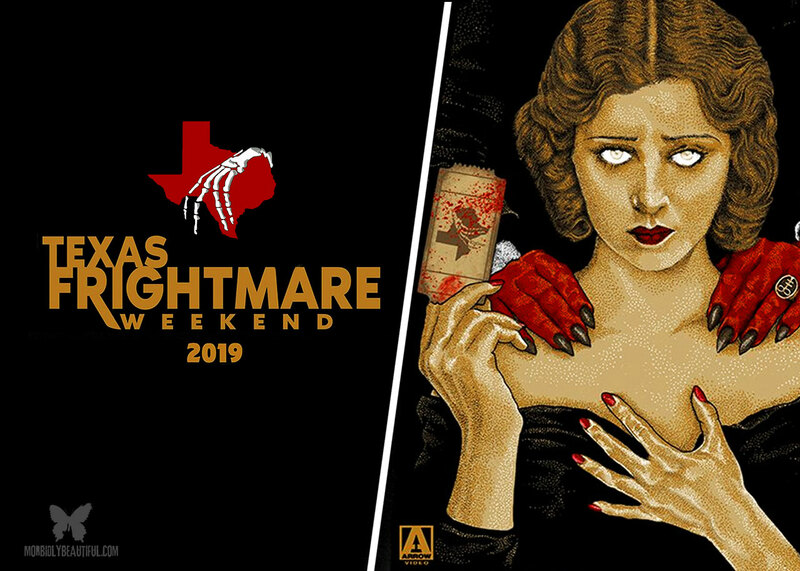 However, the best part of Frightmare for most of us isn’t snagging that Meg Foster, Tuesday Knight, or Heather Langenkamp autograph, but the feeling of passion, camraderie, friendship, and fun that pervades the convention itself along with the evening screenings, panels, and parties. I always try to see as many movies as I can, and it’s fun to hear the Q and A panels with the stars and directors, mingle with my friends at the parties (and sometimes a celebrity or two sneaks in…we had David Arquette and Rose McGowan doing karaoke on a famous night a couple of years ago) and listen to actors talk about their experience making movies and their love of the genre — and the fans that allow them to be a part of it. All in all, TFW is for the fans, and we are so grateful to have it. I know for me, it’s a haven away from the real world, a weekend when I get to be my weird little self, and the chance to fangirl over some of my favorite names in the business and tell them how much they mean to me and exchange stories, smiles, and maybe even a hug. Yes, it’s about horror, but there’s nothing scary about the way my heart feels when I’m waiting for the doors to open on another TFW, waving my wrist in the air so I can walk in freely, and feeling myself get swept into the crowd into another weekend that will surely make it into the record books and my memories.